When it comes to sports in India, is it only cricket that reigns supreme? Or are sports other than cricket, getting to score a home run? Although cricket keeps leading on in the race, new leagues and associations in sports like football, hockey, kabaddi and so on, is changing the sports landscape. Players are getting a worldwide stage to showcase their ability and viewers are getting the chance to enjoy other sports of their choice. According to a report published by SMG Insight/YouGov, cricket, tennis, and football are the top three most followed sports in India. 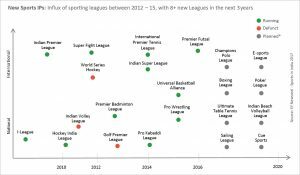 The emergence of several professional sports leagues has helped grow the popularity of several sports in India especially the Indian Premier League for cricket, Indian Super League for football and the Pro Kabaddi League for kabaddi. 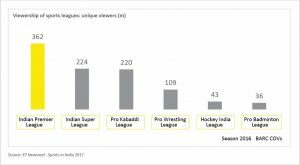 Apart from that, Pro Wrestling League and the Hockey India League have marked themselves as prominent sports leagues that are viewed by the nation. Out of the eight leagues mentioned above which were planned post-2016 onwards, seven have been launched and their viewership, which is currently a few million each, is growing. Different kind of consumer segments are engaged in different kinds of sports. Thus, for marketers, the sporting calendar for the year becomes as important as the festive calendar to engage their target segments PAN India. There’s always an audience for a sport. So, if certain leagues are very cluttered with brands, a marketer can always choose an alternate sports league to associate with and engage their TG. Sports fans are already on the field in their heads. With their team jerseys, discussions and predictions, why not make it more exciting for sports fans while taking this opportunity to engage with the right target segment at the right time. Fans can be asked to predict match or tournament outcomes powered by exciting rewards and deals. Selfies and hashtag contests launched which award the best selfie or quote for the day. In-store or on-premise activations like scanning the QR code on packs or other collateral, which brings fans to a page that engages with them. Rewards based on the real-time progress of the match… the possibilities are endless for brands to engage fans. Here are a couple of good examples of our actual campaigns which were launched just before sports tournaments and utilized the opportunity to engage consumers a little differently. Brands have been in the business of discounting for so long that they have started swearing by it for almost all events and occasions. Instead, a consumer promotion planned strategically during sporting events could prove to be a great opportunity for them to not only increase sales but also engage consumers in a more interesting way. Kingfisher as a brand has positioned itself in the market as a beer brand that resonates with celebrating the good times. Last year we did a campaign with Kingfisher where it wanted to engage their customers and increase sales of their Kingfisher Premium 750 ml bottles during the cricket season. Given the cricket-themed of the campaign, we gamified the whole promo, where customers could play one ball on every bottle purchased. Every ball played, scored them runs, like in a real game. Based on the runs scored, customers received an instant recharge. Every time customers completed an over, they got to play a ‘free-hit’ which won them attractive Kingfisher cricket merchandise. When it comes to Tennis, India has a recorded 44% viewership either on TV or in the media, at least once a week – making it the second most followed sport according to YouGov. Allen Solly had launched a premium apparel line called Wimbledon. They wanted to engage their platinum customers during the launch. Given that Wimbledon finals were coming soon, we came up with an idea to partner up with Hard Rock Café and hold a private screening of the finals. The event was called the ‘Final Volley’ which included food and beverages along with the screening. 80% of the platinum customers were in attendance making this short association, very sweet indeed. The increasing viewership and growing number of sports leagues in India now provide marketers with ample opportunity to try something new and start a dialogue with the right target audience. Brands that figure out how to mesh their personality into the culture of the sport can accomplish the sort of mindfulness and loyalty that all brands would crave for. Looking for engagement ideas around upcoming sports events? 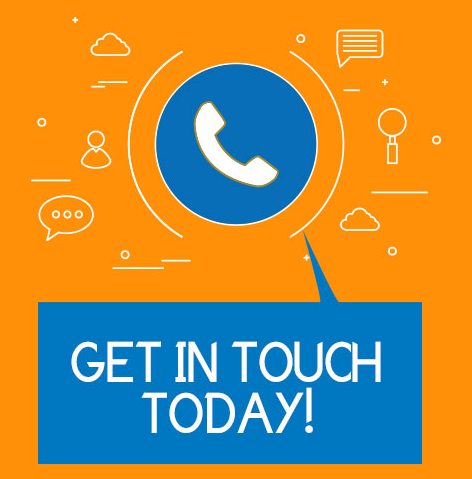 Let our experts take over and design a campaign for your brand from ideas to fulfillment.